All Things Auth posts that have a large amount of content relating to knowledge based authentication ("something you know"), one of the three categories of authentication. 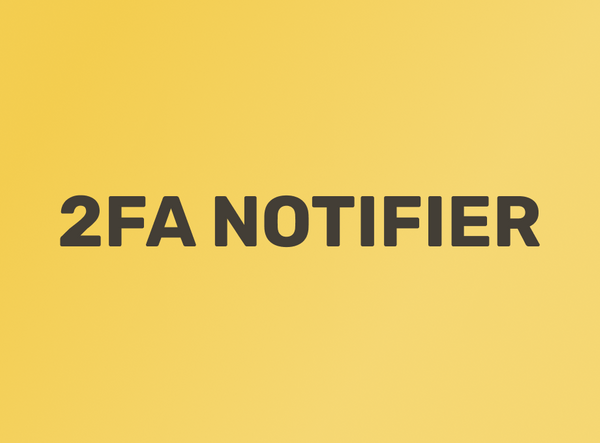 Ray and I built an open source browser extension called 2FA Notifier that helps people enable 2FA on their accounts. Read about the extension and the problem it solves in my article that was initially published on the Okta Developer Blog. Often an after thought, docs are a critical part of the security UX. Zapier has paid particular attention to creating useful docs and it really shows! Zapier password policies allow users to create ridiculously strong passwords, but need some updates to reject weak and previously compromised passwords. March 2018 is Zapier month! We dive deep into the security and user experience of Zapier's TOTP two factor authentication (2FA) implementation: what works and what could be improved? March 2018 is Zapier month! Conor and Ray discuss passwords, hatch a plan to increase two factor authentication (2FA) adoption rates, and propose changes to the Zapier team plan. Two Factor Authentication (2FA): What is it? How does it work? Why you should care! Learn why two factor authentication (2FA) is so important, how it actually protects your accounts, and how to assess the 2FA methods available on the services that you use!